In keeping with my January theme of using what we have put up in our pantries, here’s relishing idea for you to try. The little ones in your life might even want to give it a whirl! 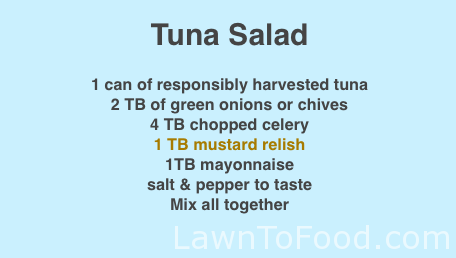 Whether you have home-canned salmon, or store bought tuna, either one can be made a bit more delicious with a tablespoon of mustard relish. 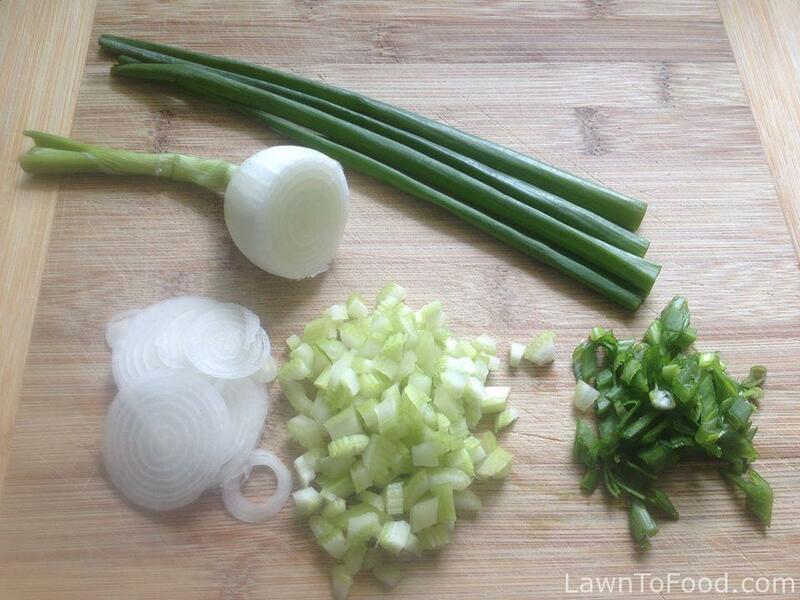 I start my tuna salad by dicing up some celery, sweet onion, green onions stalks or chives. This is great on crackers or in sandwiches with some lettuce leaves. 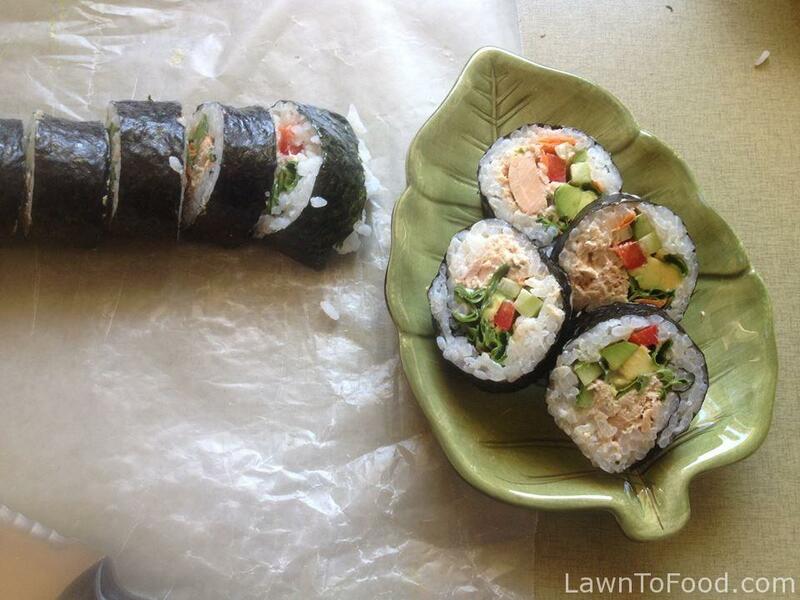 It’s also popular in our household as a maki filling, that is rolled in rice and nori. Nori is roasted, or dried, seaweed sheets that are available at any grocery store. 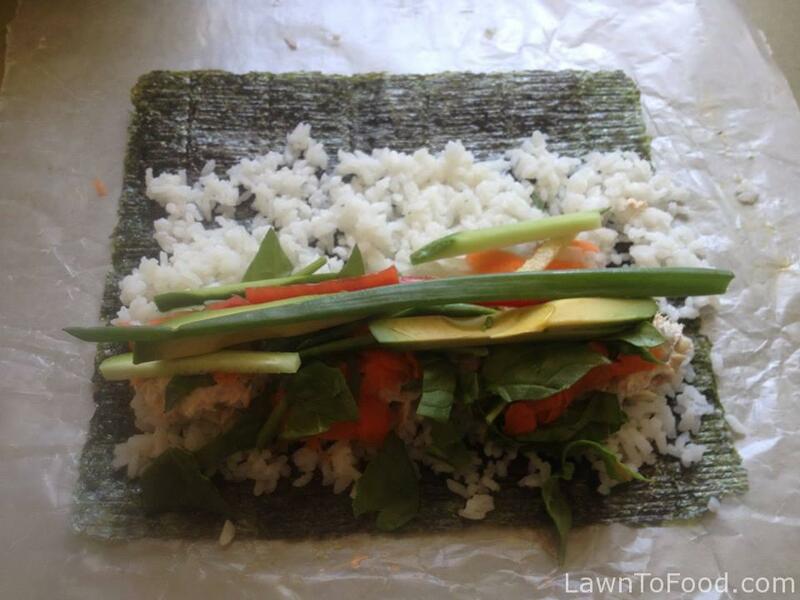 Extremely high in vitamins and minerals, maki sheets are a great addition to any pantry. Brusslesprout eats the smaller-sized nori-snacks like potato chips! Any leftover rice can provide the base filling for maki rolls, but short-grained sushi rice, properly prepared and dashed with seasoned rice vinegar, is ideal. These awesome neighbourhood kidlets are ready to rock the “Comox” roll. Remember back when you could go to Grandma’s house and she would hand you a freshly baked cookie? … Ya, not at Granny Smith’s. Here you have to build your own brunch, pick up some culinary skills along the way, before being released into the vegetable garden jungle. The kids are filling their rolls with bits and pieces of their favorite vegetables before I help them add some tuna salad. 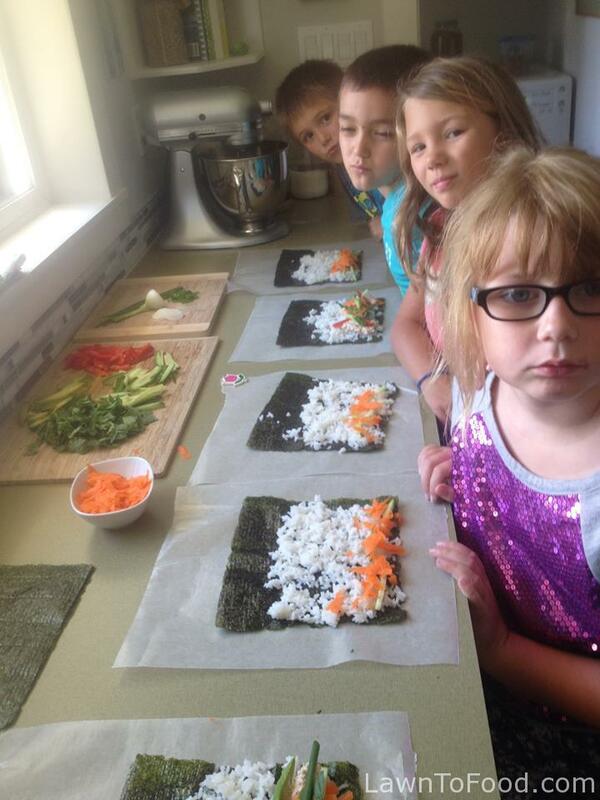 The wax paper works as a sushi matt, which will help them roll their maki in a buritto-like fashion. This is just one way that I use mustard relish during the year. It is also fabulous in curried devilled eggs, a variety of potato salad, dips, sauces, on fire-roasted weiners plus homemade 1000 Island Dresssing, which is simply musard relish, ketchup and mayonnaise. During the summer harvest season I make at least one batch of relish to use throughout the year. 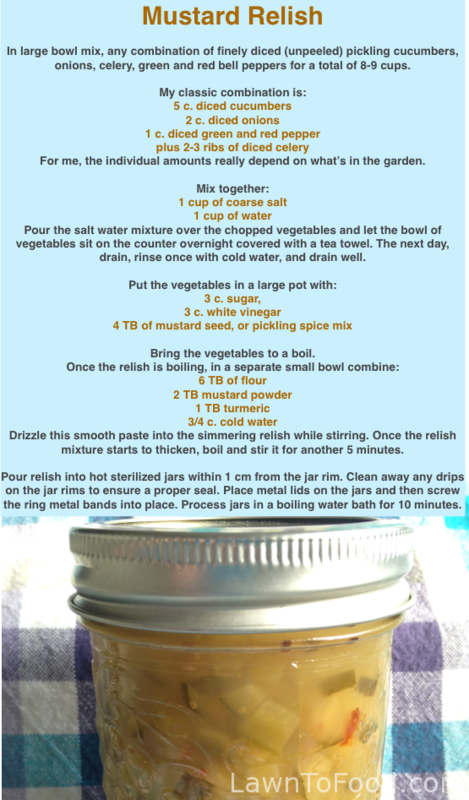 This is my favorite mustard relish recipe.